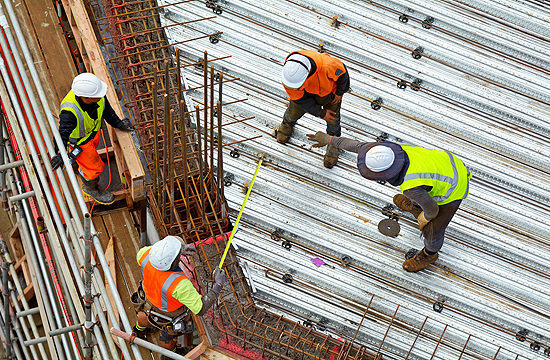 Construction Management Services - Healy Construction Services, Inc.
Healy Construction Services provides valuable oversight to your project with construction management services. Our in-house, dedicated project managers understand every aspect of planning, design and construction. They ensure your project gets done on time and on budget, meeting and exceeding your expectations. Depend on our 30 years of experience in completing projects throughout the continental United States. We are a woman-owned, family-run business. As such, we dedicate ourselves to providing quality work at the most cost-effective price. Therefore, give us a call today at 708-396-0440 or contact us online to get efficient management of your project. What Makes Our Construction Management Services Stand Out? Healy Construction Services understands it takes dedicated, experienced and knowledgeable specialists to make a difference for our clients. For that reason, we provide all clients with just such a team of construction management professionals. Our project managers monitoring the jobs daily to keep projects running smoothly from start to finish. Our superintendents are equipped with the latest technology, allowing for better communication and limiting lost time when problems arise. Furthermore, all of our project managers and superintendents have OSHA certification, technical training and the experience to make your project a success. Depend on Healy Construction Services when you need a commercial construction company that meets all of your needs. We strive to have your project finished on time and on budget. Therefore, give us a call at 708-396-0440 or contact us online to work with a company with a track record of success in Chicago IL and antionwide. If you would like to become a subcontractor, please review our vendor qualifications and submit a request to work with Healy.